← From The Bishop: Have Life! Luke has described the coming of the Holy Spirit as best he can in human terms. He writes that it was “like the rush of a violent wind” and “divided as of fire”. Now, on behalf of the other apostles, Peter has begun interpreting the event to the crowd that has gathered. The author writes to churches in rural Asia Minor. He addresses his letter to those “chosen and destined” by the Father and “sanctified” by the Holy Spirit in order “to be obedient to Jesus Christ” and to share in the forgiveness available through Christ’s sacrificial death. Early on Easter Day, Mary Magdalene has recognized a man standing near the tomb as Jesus. She has told the disciples: “I have seen the Lord”. The disciples fear that they may suffer the same fate as their master. Former students of residential schools as they seek healing, hope, and recovery from abuses. 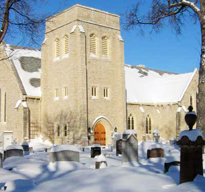 St. Philip, Wpg., The Rev. Linda Parsons, Priest, and their companion parish of Lugala, The Rev. Edward Kabuye Rector. St. Philip, Scanterbury-The Rev. Jim Wolf and the Lay Readers from the parish of St. Luke, Winnipeg. St. Philip, Hidgson-The Rev. Barry Bear, Priest and The Rev. Wes Barrett, Deacon and their parish of Nawango, The Rev. Rwekigombe Benon, Rector. For those being confirmed at St. Mary Magdalene, Wpg.